as he checks hishoroscope. Japan. desired. State quantity for each sign. 88450H - Wt. ea. 12 oz. 11 'h-inch high metal tree. Shpg. wt. 3 lbs. 12 oz. Four 9-oz. 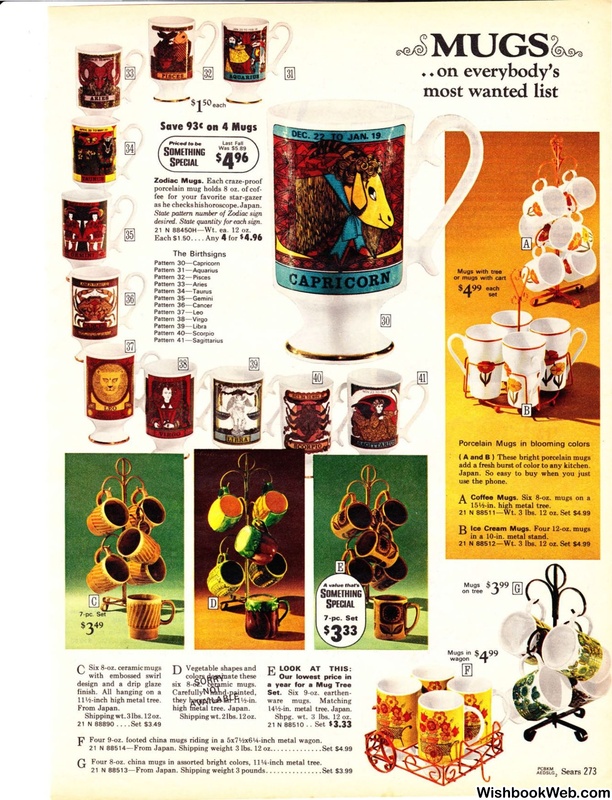 footed china mugs _rid_ing in a 5x7'hx614-inch metal wagon. Four 8-oz. china mugs in asso_rte? colors, 11 1/.i-inch metal tree.